Showing off your expertise in a guest post can lead to new career options, and you don't even need to be a blogger. Darren Rowse's ProBlogger.net is one of the most popular blogs in the world with well over 150K subscribers. Darren blogs regularly but many of the posts on ProBlogger are guest posts written for Darren by people like you and me who are simply trying to get exposure to such a large audience. And it works; I can think of a number of bloggers that I began following after discovering them there. But guest posting isn't only for bloggers. 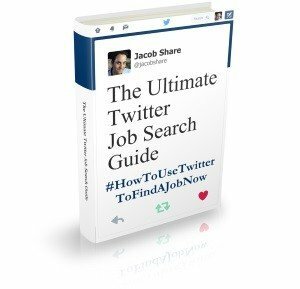 Anyone can use it to get attention from potential employers and clients, or to simply add a publication achievement to their resume. By choosing the right, personal brand-relevant blogs to guest post on, readers will come to associate you with those blogs and their niches. Accept guest blog posts. If the targeted blog has guest posting guidelines, that's a good sign. Regardless of how wide a niche or industry is, everyone has their specialty for which they'd prefer to be known for. Reinforce that idea by putting out guest posts that are directly related to your specialties. Search the targeted blog to see if your topic has been covered before. If not, you know what to do. If yes, cover the topic from a different angle. You need to impress, and the only way you're going to do that is if your guest blog post is good because Good + Audience = Popular, i.e. Lots of Positive Attention. If you're not sure what “good” is, search through the targeted blog(s) to see which blog posts were most popular and try to understand why. You can also ask someone (the main blogger? an editor?) at the targeted blog for suggestions, although they're most likely to be receptive if your first message to them already has a good guest post attached that they can quickly publish. If you're not very confident in your blogging skills but are confident in your other skills, try to come up with a way to leverage those other skills in the guest post, like making a video of yourself or getting somehow to help with the actual writing while you supply the idea and details. Your guest post should include a short byline about who you are and mention a recent achievement you had that is relevant to your guest post and its audience. Link to your main personal brand-building web presence, such as your LinkedIn profile or professionally-relevant personal blog (if you have one), and give instructions on how to contact you about the guest post or anything else. If the targeted blog won't let you include a byline, don't guest post there. Also, make sure they don't forget to add your byline and once the guest post is published, double-check that all the byline links are working. Share it with your colleagues (current or past), work contacts, partners, friends, family, anyone you think who will appreciate it, and encourage them to share it further as well. Post it to your social media accounts, mention it in any online forums, Facebook pages and LinkedIn groups that you actively follow. Contact the other blogs you considered targeting, and tell them about it. Perhaps they'll invite you to guest post as well. If you chose an active blog where people comment regularly, and published a thought-provoking guest post, people are going to react, including people who can lead you to your next employer. Join the conversation by responding to all comments on the guest blog post itself, by watching for feedback in all the places you promoted the post, and by googling for some of the key phrases in your post to see if anyone quoted you. Have a thought to add after the guest post was published? If you can update the guest post itself, great. Otherwise, leave a comment beneath the guest post with your new insight. If you have a lot more to add on the topic, why not propose a followup guest post? The more popular your guest post, the further it will spread, with each sharing being a recommendation of something you just achieved, which implicitly recommends yourself too. Better, the guest post will usually stay in the blog archives forever, continuing to impress readers and grow your personal brand with each visit. Best of all, you don't even need to have your own blog to leverage guest posting, but you do need to follow my recipe above if you want the best shot at guest post success. 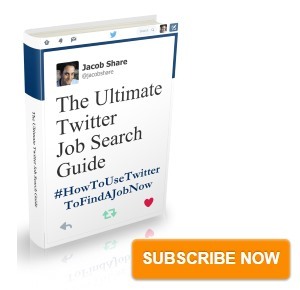 Subscribe to JobMob via RSS or email and follow me on Twitter for more guest blogging job search fun. This is great advice. I was thinking about taking a full blown course about Guest posting. There are a few out there. One in particular is by a guy named Johnny B Truant and another by Jon Morrow. Both have amazing writing styles and it is easy to see why they are at the top. Has anyone tried any of these courses or any they could recommend? I had no idea Darren was still blogging, but all the links in this post still work. Amazing. Nice article Jaocb Bro. It is true however smart you or your blog maybe, but to get your blog moving you need the help of blogs which are already on the move. The best way to do so is to get started with Guest Posting. Done the right way it can do wonders.